For attractions of Clipperton Island did not question. This island is barely visible on the maps. With its area of about 7 square kilometers and a circumference of approximately 8 kilometers, is of no interest for tourism. 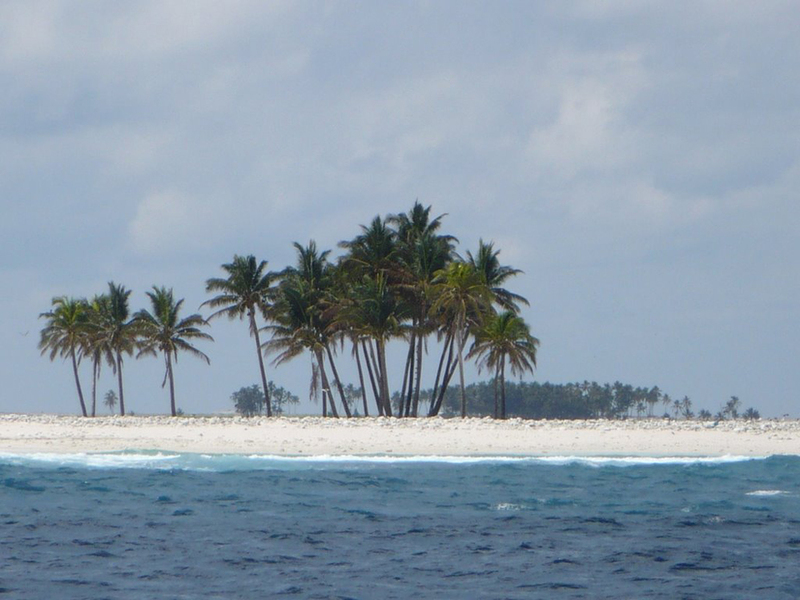 Clipperton Island was discovered by Ferdinand Magellan in 1521, but much later came the first settlers. The island represents a coral atoll, a curious thing is that coral reefs circle formed lagoon completely, entirely closed. In this case, sea water can not be refreshed with a new ocean. The water is green with sour salty taste. 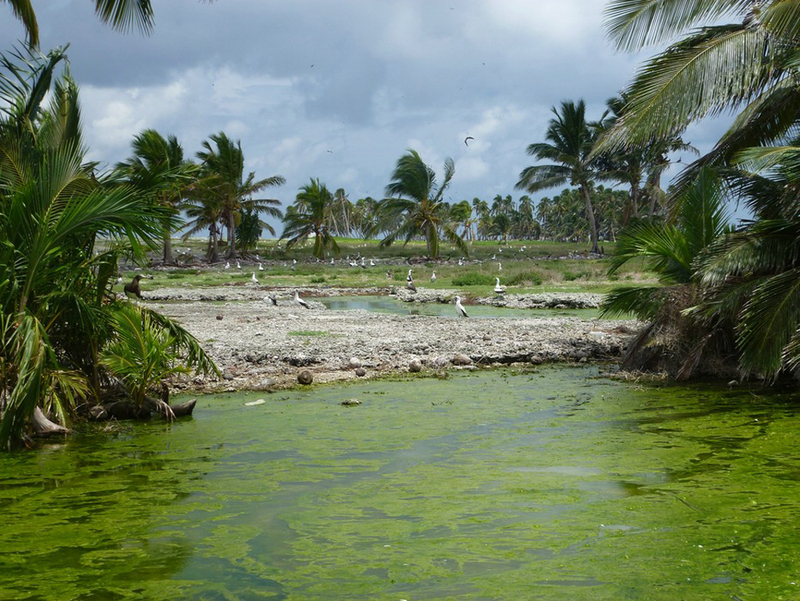 Natural fish can not live in the lagoon, and therefore people are trying to fish in the ocean. Aside from a huge cliff 21 meters high, which is located on one end of the atoll, the rest of the island rises imperceptibly. The climate is oceanic, with frequent tropical storms coming from the west. 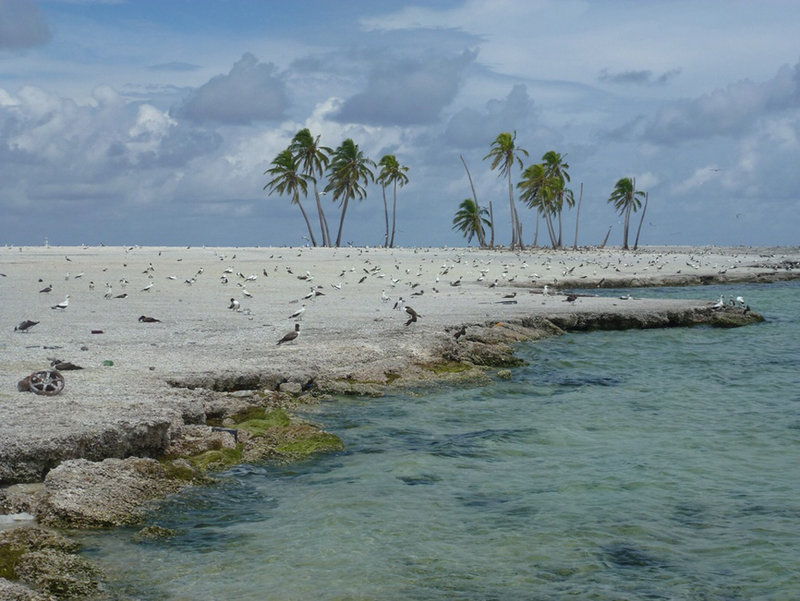 Water around Clipperton Island is pleasantly warm almost all year round. It is for this reason were discovered over 120 different species of fish. They served as a staple food for people who have tried to live here. 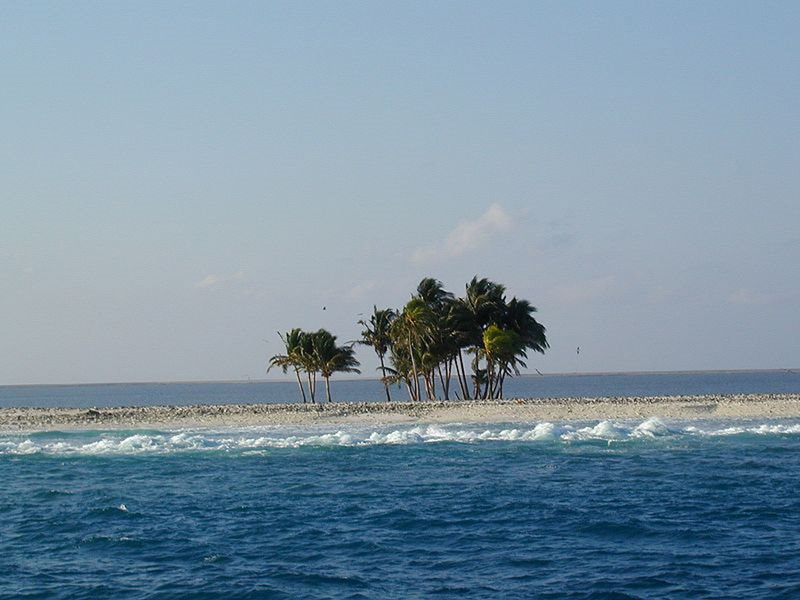 Disputes over possession of Clipperton Island, the centuries are numerous. But France managed to gain this atoll, although currently not using it. Administrative management is entrusted to the High Commissioner of French Polynesia. 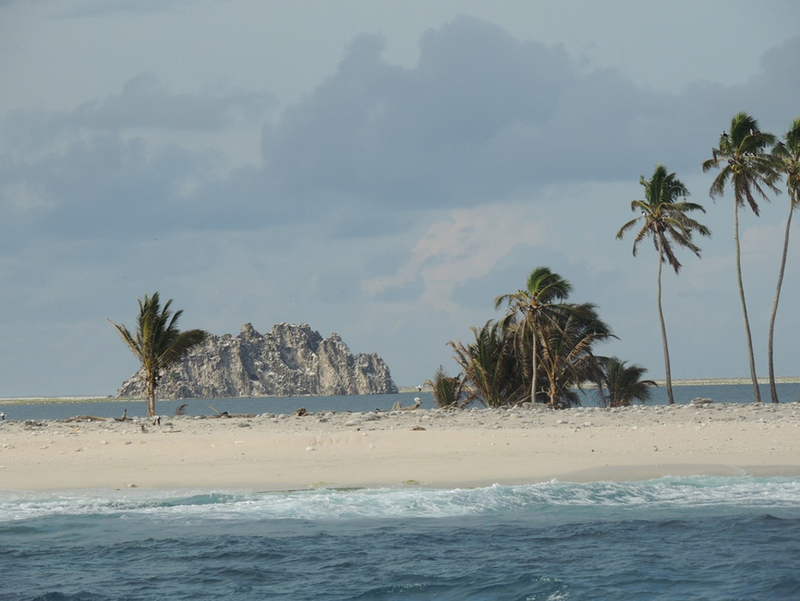 Actually there is no need to ask permission from anyone to visit and look at Clipperton Island. Even the most avid romantics will be disappointed by this 'paradise on earth'. 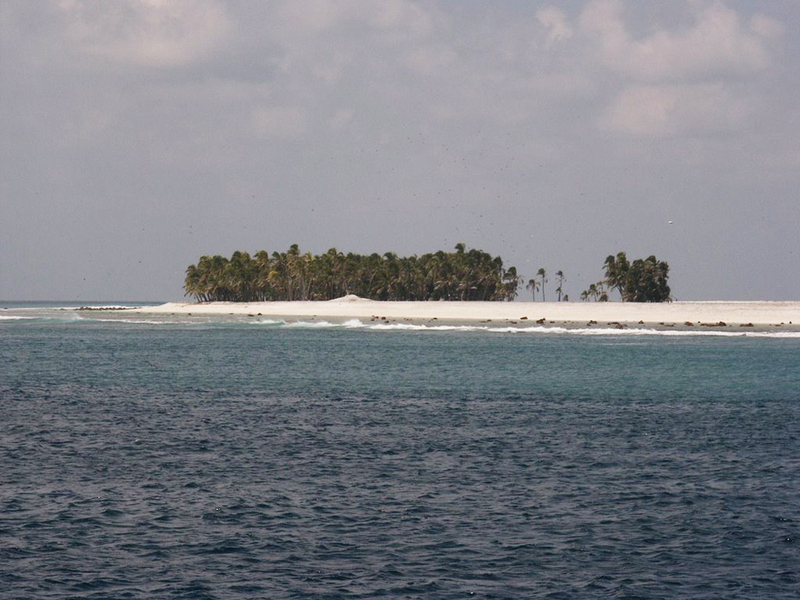 Vegetation is sparse, low bushes and a few coconut palms that can be seen from far away. 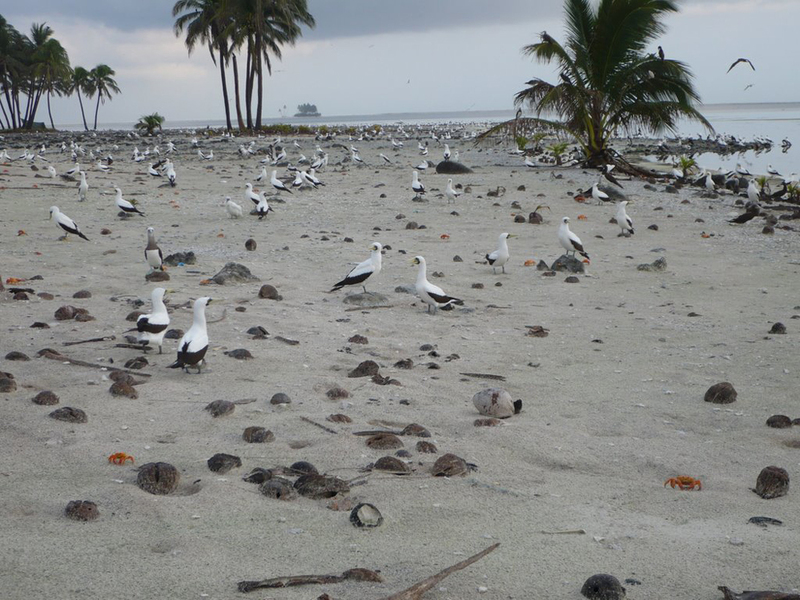 There is evidence that in the past, Clipperton Island was covered with rich vegetation, but human intervention and frequent storms probably have destroyed everything. The only input that is interested people was "guano." Guano is a substance (manure) derived from a mixture of bird droppings, dead birds and other marine life that have accumulated over millennia in one place. 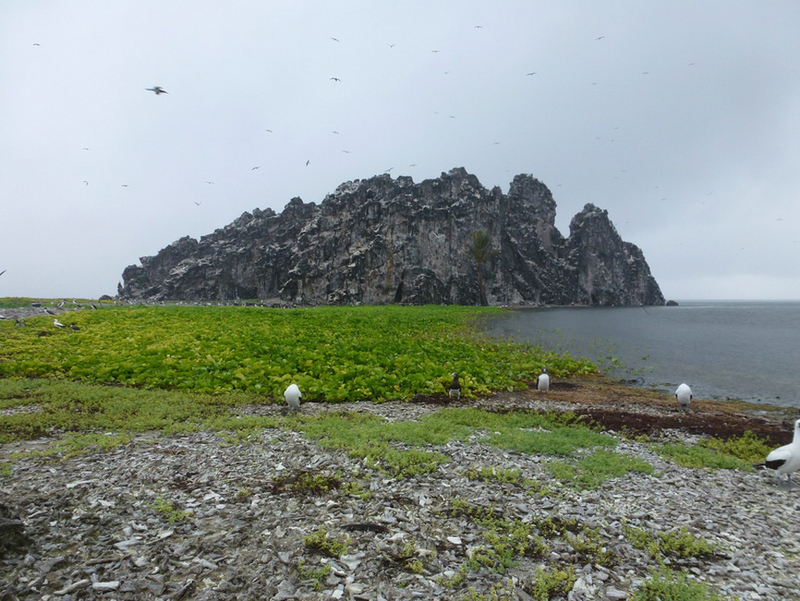 It was then that the island was more permanently inhabited by humans (diggers of guano). They planted coconut palms and new plants, which are refined island. Even during the Cold War, France had a plan to build an airport and later making nuclear tests, but all that is now past. 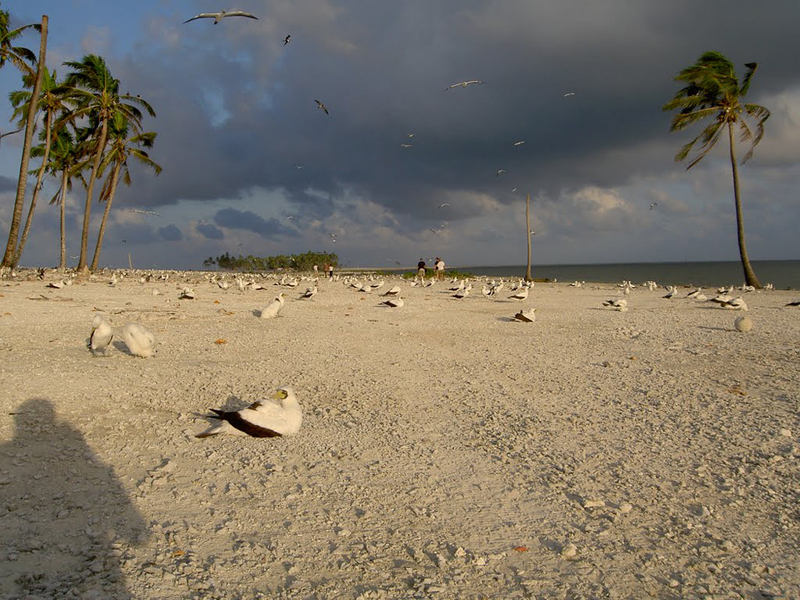 Currently Clipperton Island is visited very rarely, mostly from adventurers seeking solitude, ocean researchers keen fishermen and small ships of France. All attempts to build a base fishing or other human activities remain an illusion. There have been numerous geological studies, but to no avail. 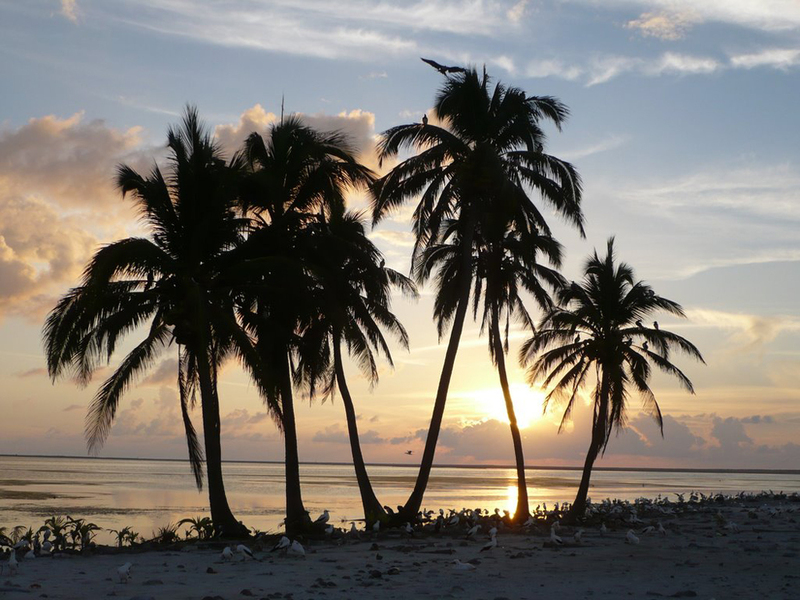 For this reason, there are very few pictures of the beautiful scenery of Clipperton Island. 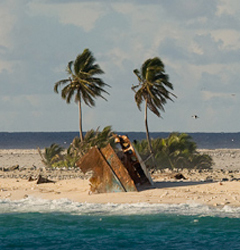 One thing is clear that this natural phenomenon can not be conquered, and with regard to the attractions of Clipperton Island, I think there are none.